Present their competencies through multiple courses, continuing medical education, and passing written and oral examinations. Certification requires applicants to have a minimum of two years of bariatric surgical training. The candidates should have experience with twenty-five procedures performed per year. Their members have an obligation to restrict their surgeries to accredited facilities that have passed rigorous scrutiny by independent authorities. Continuing education requirements are strict to ensure surgeons are fully current on issues relating to patient safety as well as the latest surgical innovations. Examination by his peers in the area of the Bariatric Surgery specialty identifies that the bariatric surgeon has met the requirements essential for the safe practice of the specialty. Those doctors passing the requirements are uniquely qualified to perform all aspects of bariatric surgery skillfully. The following are some of the benefits of choosing a certified surgical practitioner to oversee Bariatric surgery procedures. Certification supports the surgeon’s ability to evaluate obese patients who are candidates for bariatric surgery – Through accreditation; the doctor acquires the capacity and experience to practice techniques and procedures learned during the process. Certification improves postoperative results – Completion of the difficult certification process equips these specialists with adequate information and knowledge on Bariatric surgeries. Thus, the probability of success post-operation is higher than that of an uncertified surgeon. It is a valuable tool to provide multidisciplinary management to patients with obesity – The rigorous certification process imposes and enforces disciplinary mechanisms on surgeons, which guide them as they go about their procedures. It validates the type of surgical treatment offered by the doctor – For a surgeon to execute a medical procedure or provide treatment to a patient they need to have clearance from the two most significant associations. Thus, if a surgeon has undergone the entire process, it automatically validates all their medical decisions and actions. It decreases the risk of surgical complication – Following the required experience for accreditation, which is twenty-five surgeries in a year; the specialist is well equipped with updated knowledge in this area of expertise. This lowers the risk of patients developing complications during and post operations. 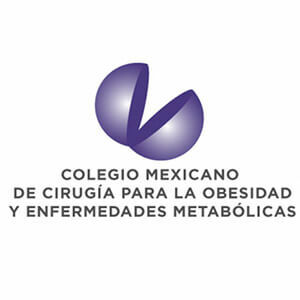 Interested in undergoing Gastric Sleeve Surgery with a Board-Certified Bariatric Surgeon in Mexico? Please contact our helpful, knowledgeable patient educators who can help guide you through the entire process of getting approved for the bariatric surgery in Tijuana, or Cancun.